Deniz Gezmis, the best-known of them, was a 1960s student radical who eventually helped found the People’s Liberation Army of Turkey (THKO) and received guerrilla training in Syria from Palestinian terrorists. As Turkey made the turn into the 1970s, left-right violence made the country all but ungovernable. The Turkish armed forces were right on the case, and just days later intervened with a bloodless military coup. The servicemen were released unharmed … but there was a bloodbath waiting for others on account of THKO. An army-backed conservative government started shuttering left-wing papers, banning left-wing organizations, and eventually imposed outright martial law. Our principals became the first hanged under that regime, but scores of others** were also tried for their lives for revolutionary activities. Since the young socialists had robbed banks and taken hostages but never actually killed anyone, their actual executions were controversial within the government itself … and ultimately undertaken on the unseemly “three for three” body count equivalence to the Prime Minister and two aides who had hanged when Turkey last had a leftist coup government. In the streets, paramilitary violence continued. During the trials of Gezmis and other radicals, Israeli ambassador Efraim Elrom, a Polish emigre who had interrogated Adolf Eichmann, was kidnapped and murdered in Istanbul by THKO activists. (The kidnapping in turn prompted an intensified crackdown — arbitrary detention, torture, the usual stuff.) Years later, another communist cell assassinated the man who had presided as Prime Minister when Gezmis hanged, Nihat Erim, allegedly in revenge for this date’s executions. London Times, May 8, 1972. 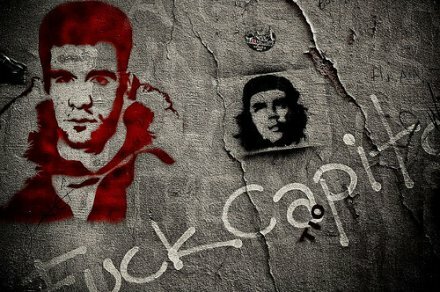 Conversely, for Gezmis, the handsome young Che Guevara of Turkish insurrectionary Marxism — this date was only the beginning of a rich afterlife as iconic martyr. Also imprisoned in the roundup of radical activists was Turkish writer Erdal Oz, who turned the conversations he had with this date’s doomed into a notable book. * Quoted in the March 8, 1971 London Times. 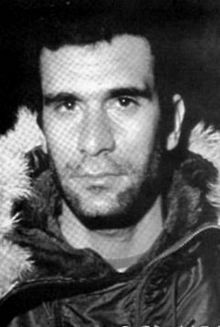 Ipekci was eventually murdered by the Turkish assassin who subsequently tried to kill Pope John Paul II — Mehmet Ali Agca.